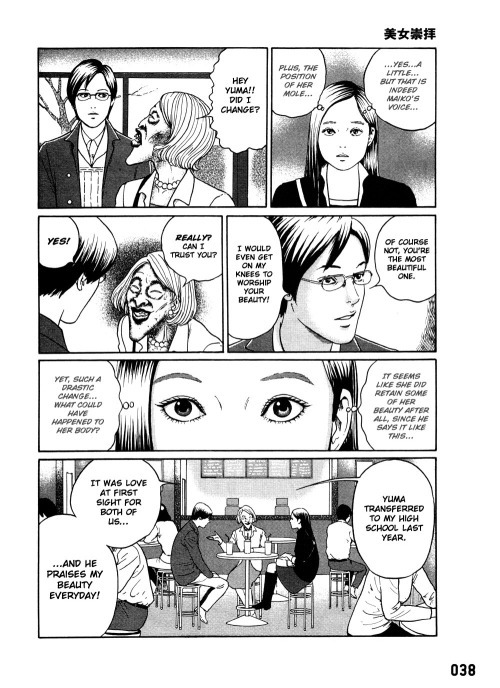 I’m a big fan of two of the Junji Ito’s other two horror comics, Uzumaki and Gyo. So I was excited to try his latest manga. Ito has a very distinctive style. His ideas feel like they were written by a demented 7th-grader, but that helps him maintain a sort of allegorical mood—and his stories always feel claustrophobic in their dream-time logic. His pen-work can be alternately beautifully dainty and creepily off-kilter, and that also fits the day-dream-to-fever-dream his tone. 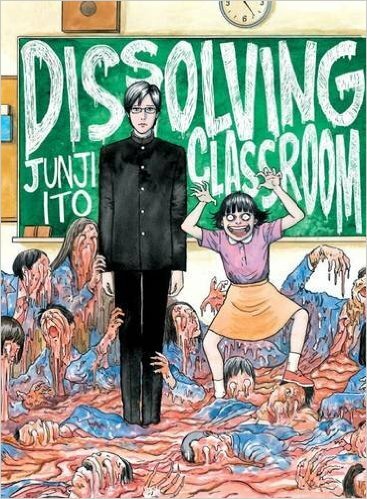 Dissolving Classroom is a collection of stories that follow a strangely polite young man, Yuuma, and his gonzo little sister, Chizumi. Both are unique characters, and their both up to some sinister stuff. But I have to say that I found Yuuma much more interesting. He’s a sort of diabolical version of toxic friend. He’s very well-mannered—almost subservient at times—but beneath that bland exterior lurks an ardent devil-worshipper. Literally. Yuuma kills small animals to lure the devil to him. He keeps in constant mental contact with the devil, and those bad vibes he shares can rot away at his new friends, dissolving their brains and their bodies. He’s like a walking Fukushima, and he’s in a continuous state of demonic meltdown. It’s not entirely clear whether or not Yuuma enjoys the effect that he has on people. He is constantly apologizing for the harm he has done—and will do—but it soon becomes clear that Yuuma’s apologies are his most common M.O. for melting people down. If Yuuma falls to his knees and starts repeating, “I’m sorry… I’m sooo sorry…” you need to run away from him immediately. Early on, it’s revealed that he’s not actually apologizing to the people around him, he’s apologizing to the devil. And those direct transmissions to Hell interact with the human body in the same way a microwave oven reacts with a popsicle. The concept doesn’t 100% make sense to me. Why is Yuuma apologizing to the devil? Yuuma’s helping to sow death and destruction, and it becomes clear that the devil likes this. But as I mentioned, this is where dream-logic kicks in, and on some gut-level I really synced with this idea of there being something sinister about apologies. I definitely fall in the camp of people who might say, “Don’t say you’re sorry, do something to prove it.” And of course, no one likes groveling. But Ito shows effusive apologizing to be a passive-aggressive act of self-gratification. Like I said, this idea really struck me as ‘true’ on a gut level. Maybe I needed a Japanese writer to help me grasp this idea—like how the German language helped us define a concept like Schadenfreude, which most Americans had never really thought about before, but innately realized was a real thing. If you’re a manga fan or a horror fan, I’d say check this out! In a world ruled by magic, they’ll need all of her brains and his bravado to survive. The Idyll Trilogy continues as our heroes are attacked by an invader—from Mother Earth!? With great power comes great… danger?! The Idyll Trilogy ends here. All up in my Facebook! 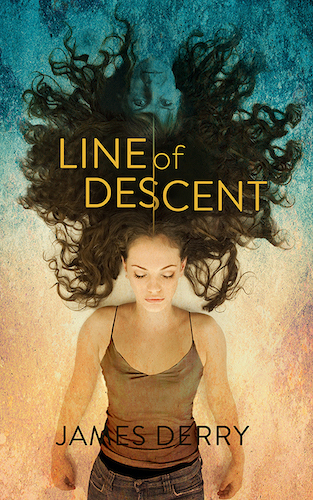 Paranormal Thriller, available now for $2.99!